Following on from the first part in this series where we caught up with Harry Dzenis and his working pupil Grace Marshall about what is involved in being a working pupil we now bring you part two! 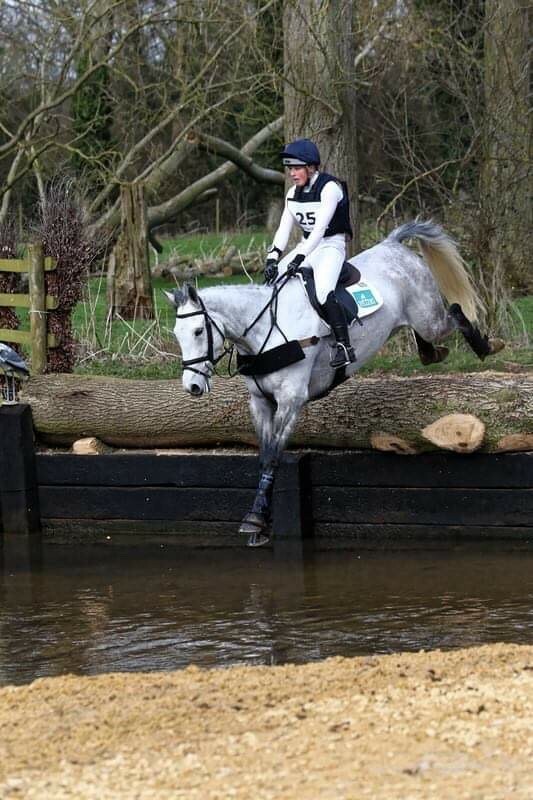 We have been chatting to Angus Smales and his rider Wizz Leyland to find out why Wizz is such an asset to his yard and how Wizz has developed from being a groom to a professional in her own right. How did you find out about/get in touch with Angus? I knew Angus before I started working for him but it was a conversation at Weston Park at the end of the season when he mentioned he was looking a groom/rider. Most professionals like having working pupils so the best way to find a position is to just to put yourself out there and either get in touch or approach someone you feel you might like to work for. Don’t be shy.....go for it! What experience did you have before moving to Angus’s yard? I came up through Pony Club and was lucky enough to have some great ponies and horses. I worked in a hunting/eventing yard local to my family home in Northumberland for 2 years when I left school where I rode a number of horses and reached 2* level. What have you learnt since you have been based with Angus? The first season was a steep learning curve as I learnt all about the inner workings of a professional yard. I can safely say that my levels of patience, tolerance and communication have certainly increased and the speed at which I have learnt to do things can often even impress me. E.g. plaiting a horse with thread in 10 minutes whilst in the back of a moving lorry! What are your career aspirations following on from working for Angus? Having started working with Angus 5 years ago, I’ve worked my way up to Head girl and rider in my own right. I have two horses of my own already on the yard and Angus has now given me the opportunity to take horses in for schooling and competing. If I was to move on I feel I could confidently run my own yard because of all the experience gained working with a professional. What advice would you offer to anyone looking to become a groom or based with a professional? 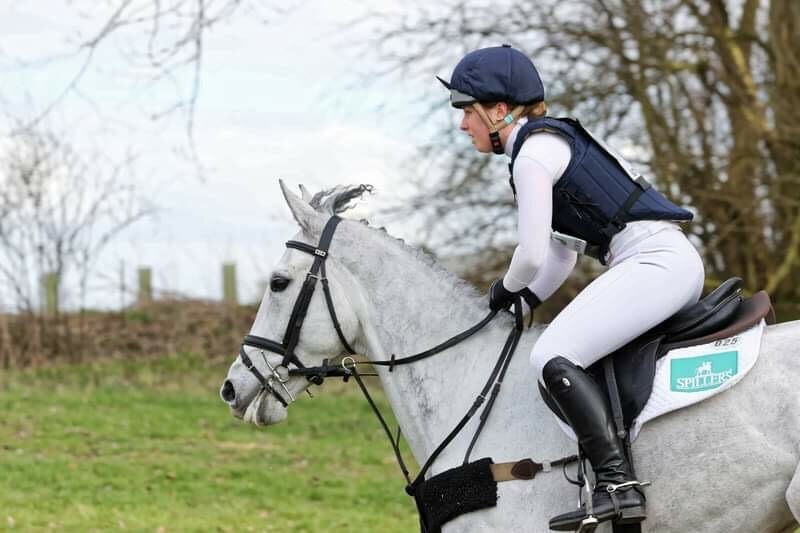 I would strongly advise anyone thinking of a career in eventing to take up a grooms position as it gives you a great grounding and after a year you would certainly know whether it was for you or not. Just a pre warning, if you think there will be time to hang around the burger van at an event and chat……it won’t happen! Having said that on a good day when everything’s gone right it’s the best job in the world. The most essential quality you will need is a sense of humour and the ability to keep your head down and work hard not to mention a very good alarm clock! Why is it important for your business to have someone of Wizz’s caliber in your team? When you’re on the road a lot away competing and in my case sometimes course designing I want to have confidence in who is riding my horses and running the yard. Wizz has been part of the team for 5 years now and understands how I like the horses to be worked and I trust her judgement which is vital. Being a working pupil is hard work, what can you offer in return? Working with horses is hard work! Its important staff and working pupils feel part of the team and that their hard work is valued and appreciated. I have tried to give Wizz help and support producing her own horses and now look forward to helping her with horses she gets to ride for owners. It’s also a real buzz to experience the atmosphere at the bigger events that you may not otherwise get to experience. What advice would you give to someone thinking of becoming a groom? I would say be prepared to work hard and to remember you get out what you put in. If someone shows real keenness to learn and work hard then I’m to happy to go the extra mile to help them compared to someone who can’t be bothered and treats it like a 9 – 5pm job which it’s not! Working on a yard is the best way to learn if this is the career you want to pursue or not. 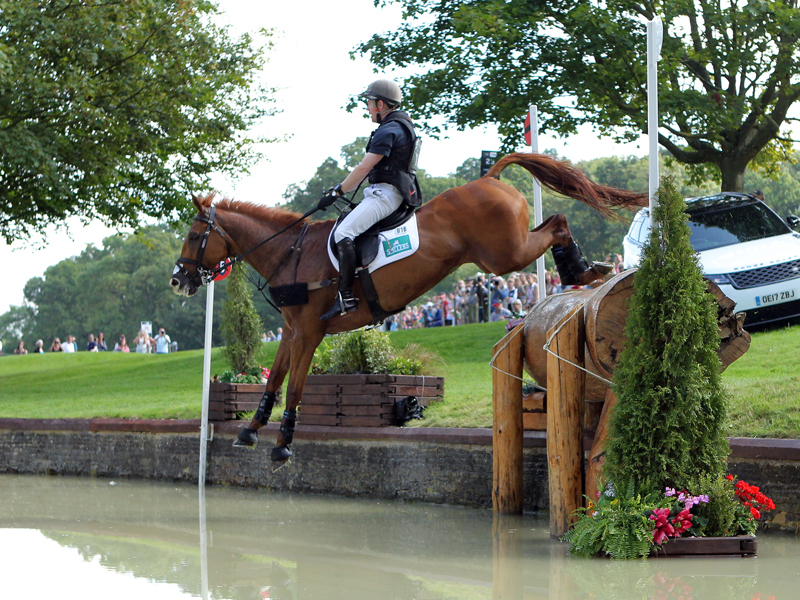 A huge thank you to Angus and Wizz for taking the time to chat to us and we hope this might inspire those of you who are interested in a career in horses to get in touch with someone you aspire to work for - go for it!